Designed for short bed and extended cab pickups to provide additional turning clearance and to prevent damage to truck and trailer in tight locations at low speeds. Operates even when vehicle not in a straight line. 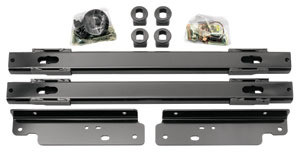 Elite Series Rail Kits are vehicle-specific and are for use with the Elite Series Only. "Power Puck" mounting system provides uninhibited use of truck bed when fifth wheel/Gooseneck is dismounted. Wider platform/mounting footprint (increased stability). Machined flushed mount platform receptacles. To quickly check if Signature Series Rail Kit is available for your vehicle, select your vehicle make from the list below. 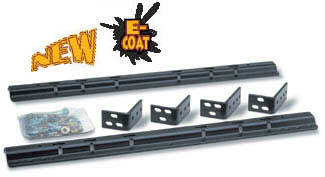 To quickly check if Elite Series Rail Kit is available for your vehicle, select your vehicle make from the list below.